Mr. Reid has over 25 years of experience in all aspects software development, including management, architecture, and implementation of both packaged and custom software. Mr. Reid has worked as a consultant in many industries, including finance, retail sales, real estate, automotive, and public utility companies. For the majority of the last 20 years, Mr. Reid has been inventing, designing, and developing software and software architectures that support mission-critical processes for hundreds of thousands of users. He has produced platform technology that makes producing ISV quality applications not only possible, but faster and with significantly reduced risk. When he and Campbell Woods founded NetQuarry, his vision was to build a technology that would allow fast, agile, and iterative development using Microsoft .NET as the foundation. 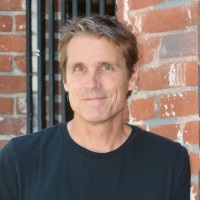 Beginning in 1997, Ryan Reid was Vice President and CTO at Moss Software where, together with Campbell Woods, he conceived, architected, and implemented ActiveSales. ActiveSales was a Sales Force Automation application built atop a proprietary application platform. In 2001 Epiphany acquired Moss Software in order to add ActiveSales to its product line under the name Epiphany Sales. Most recently, Mr. Reid served as a director and the senior technical resource for several of the Epiphany products. Mr. Reid was a primary contributor to the design of Epiphany’s next generation, J2EE application platform. Prior to Moss Software, Mr. Reid was Vice President and CTO at Moss Micro, the precursor to Moss Software, where he and Mr. Woods conceived, architected and implemented two award winning developer toolkits, Start Developing for Visual Basic and Start Developing for Access. Moss Micro was primarily involved with software consulting services and Mr. Reid also performed in this capacity as a senior technical and management resource for customers in a wide range of industries including insurance, medical, and technical. Mr. Woods has almost 35 years of experience in all aspects software development, including management, architecture, and implementation of both packaged and custom software. Throughout his career, Mr. Woods has focused on the “ilities” of software development ensuring that the software developed is reliable, robust, and predictable while remaining flexible. Mr. Woods has designed and guided successful products over multiple versions, multiple customers, multiple environments and technologies, and multiple locales. Over his career Mr. Woods has worked with a wide variety of programming languages, database management systems, computer systems, and business domains. 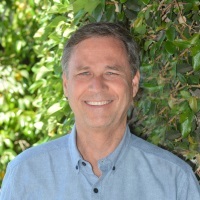 Prior to founding NetQuarry, Campbell Woods was Vice President and Chief Scientist at Moss Software where, together with Ryan Reid, he conceived, architected, and implemented ActiveSales. In 2001 Epiphany acquired Moss Software in order to add ActiveSales to its product line under the name Epiphany Sales. Mr. Woods remained with Epiphany until Early 2004 as the senior technical resource for the Epiphany Sales product. During this time he was also a senior contributor to the design of Epiphany’s next generation, all-J2EE application platform. From 1995 through 1997, Mr. Woods was Vice President and Chief Scientist at Moss Micro, the precursor to Moss Software, where, also together with Ryan Reid, he architected and implemented two award winning developer toolkits, Start Developing for Visual Basic and Start Developing for Access. From 1990 through 1995, Mr. Woods was a senior software developer at Kofax Image Products. At the end of his tenure there he was the technical lead on the Kofax Image Processing Platform (KIPP) – a software development toolkit used to develop IBM PC-compatible applications using Kofax’s digital imaging PC cards. Mr. Woods holds three degrees from the University of Southern California – a bachelor’s degree and master’s degree in Computer Science and a master’s degree in Electrical Engineering.